Great family home in Barnton - property consists of great family living space with a large dining room/sitting room with patio doors off into a private and secure south facing back garden - a right wee sun trap. This room has neutral walls and laminate flooring and is brilliantly large. 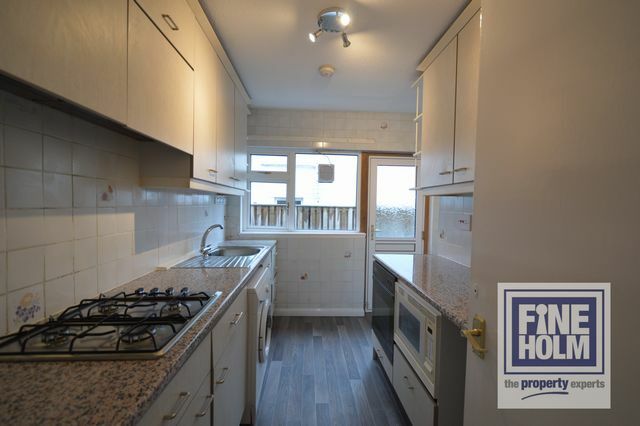 The kitchen has a great selection of units, with tiled splash backs and vinyl flooring - the kitchen also has direct access off to the side driveway where you find the bins and also quick access to the separate garage. the family bathroom is downstairs and has a new white 3 piece suite with shower over bath and natural ventilation. There is one downstairs bedroom. The decoration throughout is neutral and fresh. Upstairs there are 3 further bedrooms, 1 has previously been used as a study/kids playroom. The master bedroom has an ensuite and benefits from great in built wardrobes. The second bedroom is also generous and with abundant storage. Again fresh decor and laminate flooring throughout. The property benefits from GCH and double glazing. There is an alarm system and a private driveway, with secure back garden and garage.